The collision of violence and art. Content warning: this article contains some imagery from video games depicting bloody violence. Reader discretion is advised. This essay is also available in video form. For as long as I can remember playing games on the PC I’ve been taking screenshots as I play. At the time of writing, my collection of screenshots from the PC alone is 17,000 strong, taking up 44 gigabytes. It dates back to 2012, with the oldest stuff in there being preserved snapshots of the world and cinematics of Alan Wake. It was the ability to immediately capture — and later return to appreciate — the cinematography of games that got me into taking screenshots in the first place. When I saw a carefully composed scene I liked, I wanted to capture it right away. Photography and cinematography are areas I’ve long been personally interested in. The art of capturing a moment, whether real or simulated, has rapidly become more accessible to the general public as cameras have become embedded into our lives via our phones. This advance has also come to gaming as much as it has become a part of our daily lives. The power of the current console generation, the Xbox One and Playstation 4, has enabled developers to create photo modes. These modes empower players to pause gameplay at any moment, manipulate a camera freely in that moment, add effects like depth of field and color correction, and easily share their nicely composed shots to social media with the console’s built-in tools. In virtually any game with a photo mode — even games I don’t enjoy, like 2014’s Middle-earth: Shadow of Mordor — I’ll spend spend hours messing with it, trying to capture fantastic digital art with tools which felt like they went beyond what could be achieved with any gear I could afford. Photo modes allow for novice and professional photographers alike to manipulate a suite of tools with incredible precision in amazing digital landscapes. Projects like Dead End Thrills are a testament to the appreciation of the amazing digital landscapes that thousands of developers have created. Dead End Thrills even goes above and beyond photo modes, making use of modifications and console commands in games which do not officially support photography. When we talk about photography in real life, we’re talking about capturing a specific moment in time, from a specific angle and position, with specific settings on the camera set up in anticipation of the shot either by hand or using automatic processes. There are very human limitations involved in the process of taking a photo. The human limitations and requirements associated with this process, and the art of capturing these moments, is deliberate and incidental. What then happens if we remove those limits? If we allow people to effectively freeze time at a moments notice, freely manipulate the camera’s position and all of the associated settings, and capture the moment with intimate detail? What happens when those moments are primarily focused on violence? In some games, violence is your only real interaction with the world. 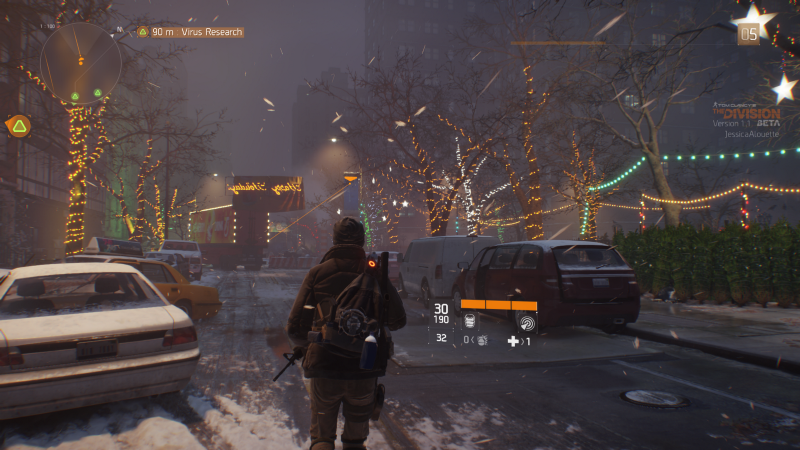 Take for instance Tom Clancy’s The Division, which depicts a sprawling, frozen, desperate New York City. In The Division, your only options as you move through the world are “talk” or “shoot”, and the former isn’t a valid response to most anyone you find on the streets. 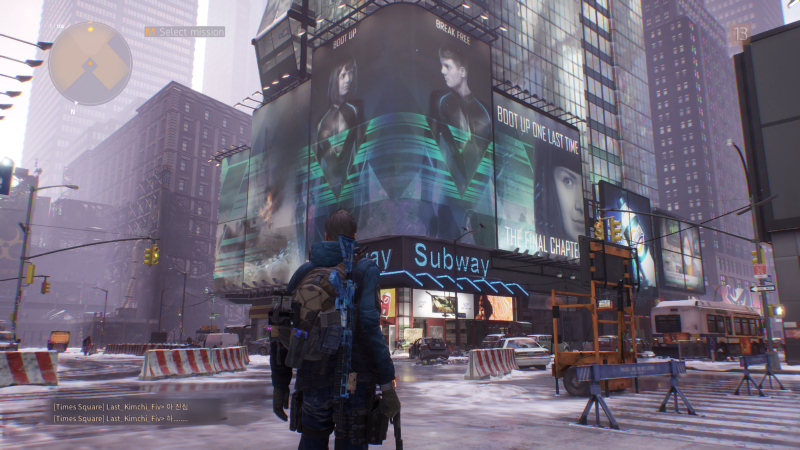 The Division is built for violence first, talking second. This singular focus is a concern when we talk about photography within the world of video games. A very large portion of video games, particularly AAA and big budget titles are built around — and have the most time put into — their combat systems. When we add a photo mode into the mix, a focus on capturing moments of violence in great detail is seemingly inevitable. It’s here that photo modes then cause a shift in how we play . 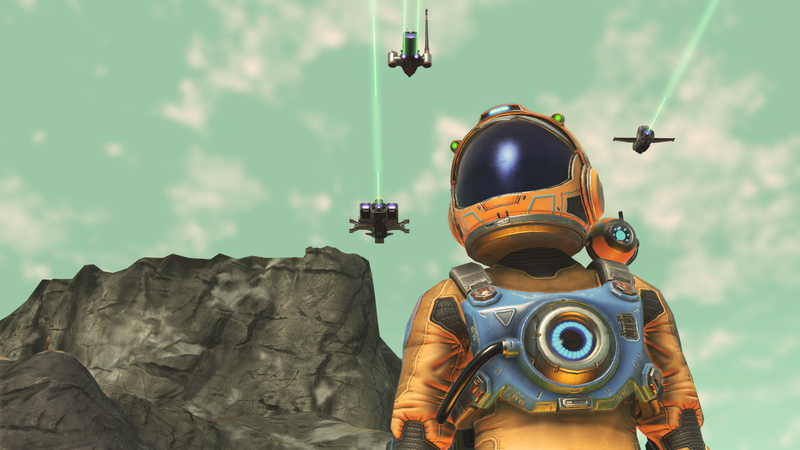 Rather than the photo mode being a set of tools to capture unique and incidental moments, it may alter how the player tries to interact with the world. In order to get certain spectacular photos, a series of choices must be made, with the question of “what would make the best photo?” buried deep in their mind. 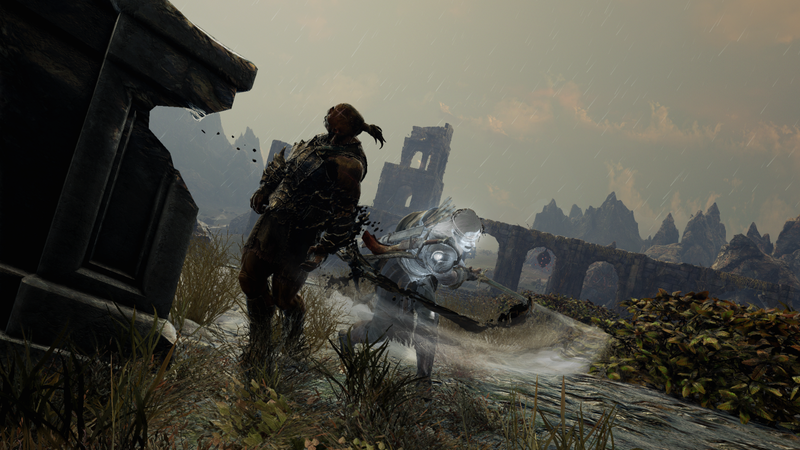 In this way, the presence of a photo mode may drive the player towards specifically creating and capturing curated scenes of violence. The results of this work can certainly look spectacular, but the deliberate use of violence as a preface to a photo can feel like a cold, cruel way to play a video game. 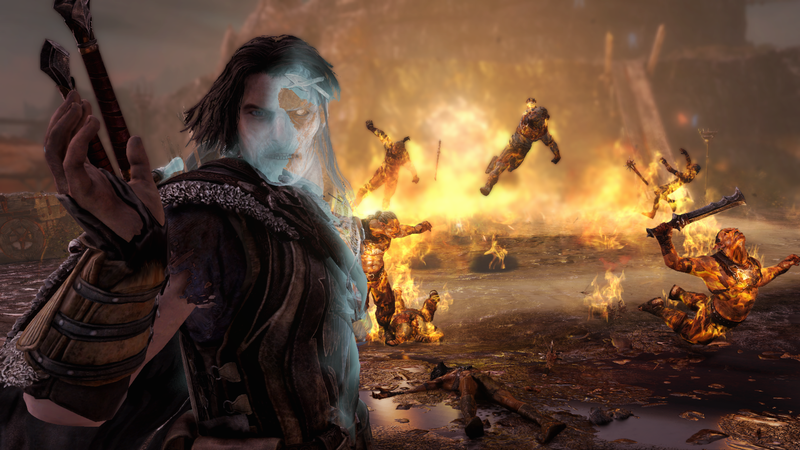 Let’s take a look at this example from Middle-earth: Shadow of Mordor. As I played, I distinctly remember trying to set up attacks and moments based on a certain chain of events. One of those chains created this photo. In order to get this picture, I found a group of Uruk by a fire, snuck up, used an ability I had which would make a fire explode when shot, and turn myself around because cool guys don’t look at explosions. The timing had to be just so that I was part-way out of the wraith form, while the aftermath of my actions ensued behind me. A lot of consideration went into this shot and the art of making it just so, but it was a consideration of how to make violence look cool. I felt weird after realizing that I had done this completely without any critical examination of what I was doing or why. I was just after that one killer shot. 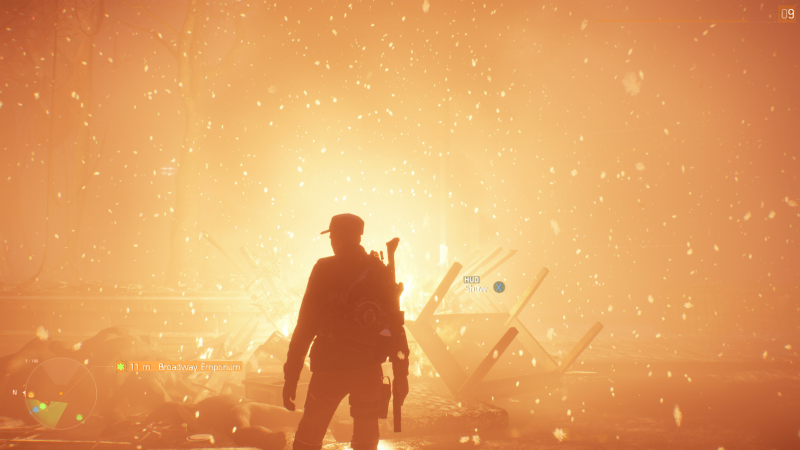 The power of photo modes to unconsciously shift play in such a way that a player seeks out the spectacular and creates chains of violent events specifically for their photos stands out as something powerful. So, ask yourself this: How many skeletons lie in your screenshots folder? How often have you done this same thing without thinking? Could you do better in the future? I want to be very clear, by the way, and weed out any commenters who stopped watching after I talked about violence: this isn’t a condemnation of violence in video games. Rather, this is a side effect of the decision to place the focus of any given game on violence. When we place the focus of a game on violence, then the natural evolution of someone using a photo mode, or even simply screenshotting that game, is very likely to be producing images caked in violence. When we talk about video game screenshots more broadly, it is not uncommon to see a dead body lying somewhere in frame; a sight which would be horrific to an observer detached from the world of what video games are. This isn’t a phenomenon exclusive to games where we can pause and precisely control capture, but to any sort of casual capture as well. One recurring theme, was … a bit jarring. My gallery is stuffed with photos of virtual dead bodies, like rigid tuna packed into a can. … The oldest shot in the gallery is a cop unloading a round into the head of GTA 4’s protagonist Nico Bellic; the newest, a low poly soldier taking a bullet to the chest. When it comes to photo modes, we as players can actually think about how we make violence look cool in much the same way as a game developer would. At some point in development, decisions need to be made about how to make violence look and feel cool to the audience of the developer: the players. As a photographer operating within the constraints of that same game, we too may be thinking about how we present violence to our audience, whether that’s simply ourselves, or the general public. When we talk about photography in general, the entire art is something of a value judgement: what do we feel is worth preserving and sharing? When you look at Instagram or Facebook, for example, you most likely see preservations of the mundane: people’s pets, the food they eat, everyday occurrences. These things are meaningful to the photographer in some way, even though they may be otherwise mundane, and so they’re worth preserving. In contrast, seeing my gallery from Middle-earth: Shadow of Mordor, it’s clear that what I took away from it was not the beauty that could be found within Mordor — limited as it was — but rather the brutality which shaped the core of it. My screenshots fixate on that brutality, with rare breaks to show environments or characters I found interesting. As the player, violence was what was most meaningful and worth preserving from that game, which speaks volumes about other aspects of the game. In other games, different takeaways make themselves apparent. 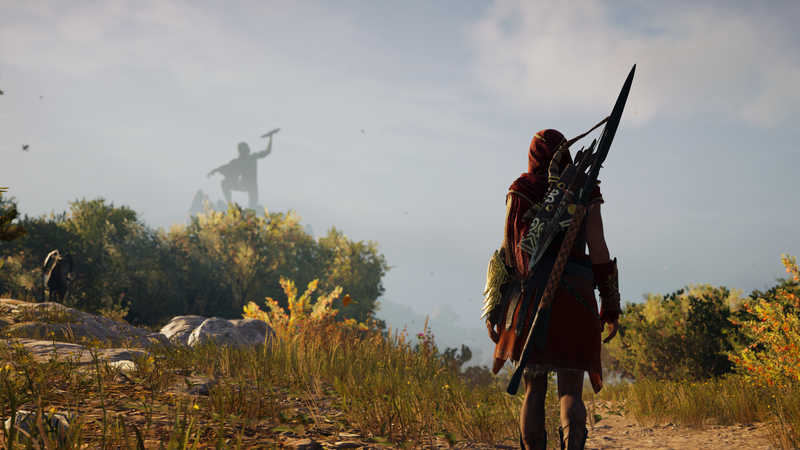 My shots from Assassin’s Creed Odyssey reflect scale and scope; grand digital landscapes, historical landmarks, and amazing views. Those from Forza Horizon 3 reflect the spectacle of the Horizon Festival, exciting moments of wheel-to-wheel action, and the design of some pretty incredible machinery. Everyone’s takeaway from an individual game will be different, of course. But perhaps, when you next take a screenshot or use a photo mode, ask yourself: What do I feel is really worth preserving here? Special thanks to TheQueerestDeer and apogeesys for their assistance with editing this script. Co-host of PauseCast, OBS Project Support Volunteer, Community manager for Feminist War Cult.